SYRACUSE, N.Y. - Dr. Carmen McCoy Harrison was named director of multicultural outreach, a new position at the SUNY College of Environmental Science and Forestry (ESF). Harrison brings to ESF 15 years of experience in higher education, mostly in the area of student affairs. 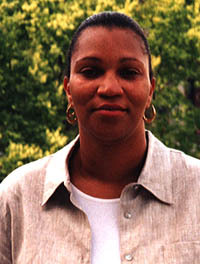 She most recently worked at the University of Iowa, where she served in the Office of Affirmative Action. She previously served as a residence hall administrator at the Newark, N.J., campus of Rutgers University, SUNY at Farmingdale, and Adelphi University.